•	PRESTIGIOUS LOCATION: The image of your business matters to your customershence it is essential to follow an approach to improve the image of your organization which is to have your office in a renowned area which attracts a lot of clients.Altrade Business Centre is located at a convenient yet prestigious location in Gurgaon which is only 15 minutes’ drive from T3 International Airport, just a minute walk from Sikanderpur Metro Station, and just about 5 minutes from the business hub of Cyber City making it a prominent Business Centre in Gurgaon. •	LOCATION OFFERING VALUE FOR MONEY: Growing a business whether it is a small organization or a large company, an affordable location is what everyone looks for.Altrade Business Centre offers an affordable office space available on weekly, monthly & yearly basis along with the facility of meeting rooms & conference rooms which are available on hourly basis at an affordable budget without any hidden costs. •	EASY ACCESS TO YOUR OFFICE SPACE: Location which offers easy access to the office area with the nearby transportation facilities like metro stations and airport makes easier for employees & clients for the easy& fast commute. •	A GOOD LOCATION FOR NETWORKING: A workspace in the location which gives you an opportunity ofnetworkingmust be a priority. 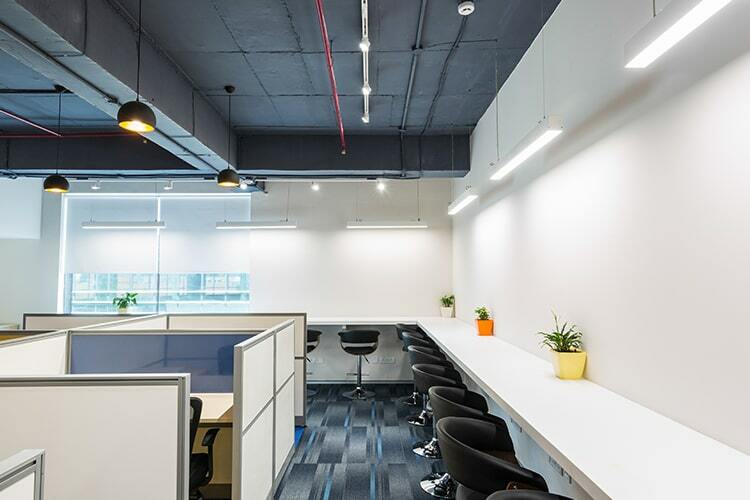 In Altrade Business Centre, there is a blend of small and medium sized ventures, from new businesses to more settled organizations and worldwide firms which gives you a perfect opportunity of networking at the Office Space in Gurgaon. •	LOCATION WHICH MARKS YOUR GROWTH: Your location along with a professional workspace should also mark your business growth simultaneously. While growth is frequently dubious, consider what the future may hold for your business. At Altrade Business Centre you will find a space that can oblige your business now and later on, regardless of whether you require more space or less space. Finding the ideal office location for your business isn't an overnight decision and there might be many hitches included but choosing the Office Space for Rent in Gurgaon at Altrade Business Centre can be one of the best decisions you can make for your business. So, book your space now at only at Altrade Business Centre.